SPINACH AND SLICED BEEF SALAD, WITH SHAVED PARMESAN CHEESE AND SLICED RAW ALMONDS WITH EXTRA VIRGIN OLIVE OIL, BALSAMIC VINEGAR, HONEY AND DIJON MUSTARD SALAD DRESSING. Just to change the menu, I decided to make use of leftover steak from last night’s dinner. I sliced it very thinly. 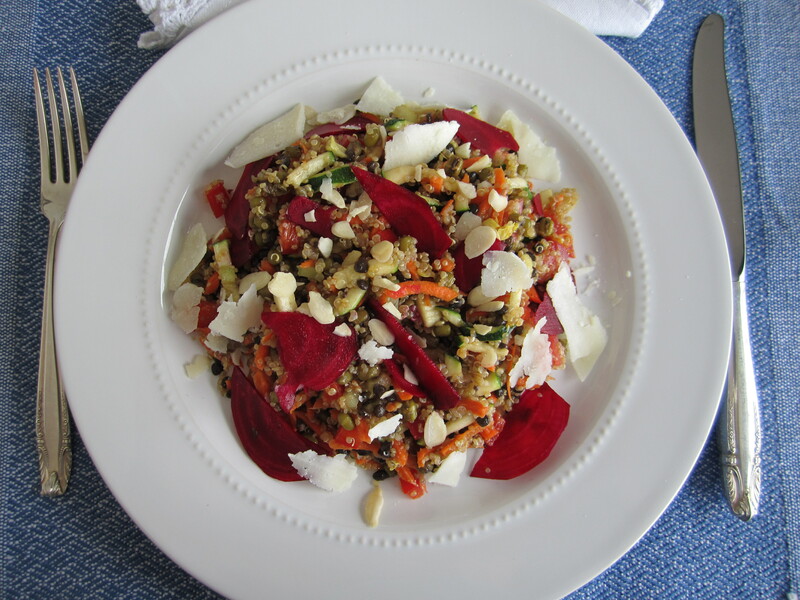 I prepared a vinaigrette dressing with extra virgin olive oil, white balsamic vinegar, ½ tsp. of honey, ½ tsp. of Dijon mustard, salt and pepper to taste. 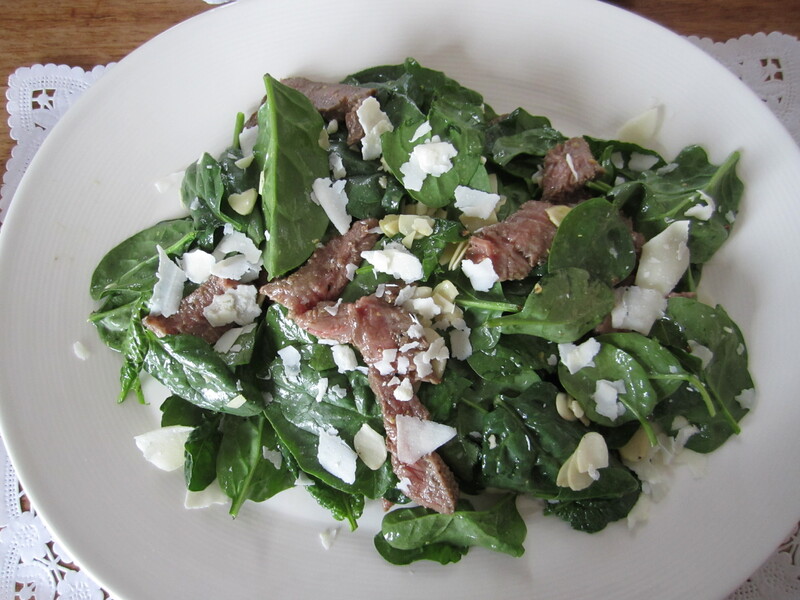 I first coated the sliced steak with the dressing, then coated the spinach, combined them and added the shaved parmesan cheese and sliced almonds. I often do this when I have some type of meat leftover!